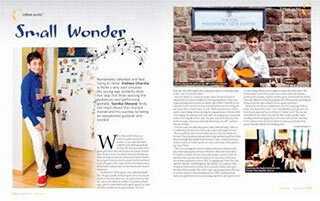 After his course with LMFL, Vishwa has been featured in one of the most reputed city magazine. To all LMFL people, I just want to say that you Are awesome, I love you all. The last 3 4 weeks has been completely unreal, ‘completely gooourgeous’. I feel so blessed right now for all the memories and histories. Specially for the surprise in Cadeillan at midnight, thank you so much.